I am so excited! I am guest blogging at The Country Cook tomorrow! 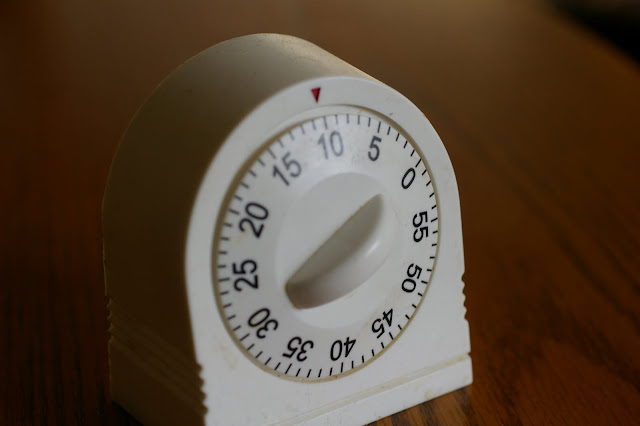 I have never guest blogged before. I am a little bit nervous. My good friend Brandie is ahead of the game. She has many great strawberry recipes on her site. 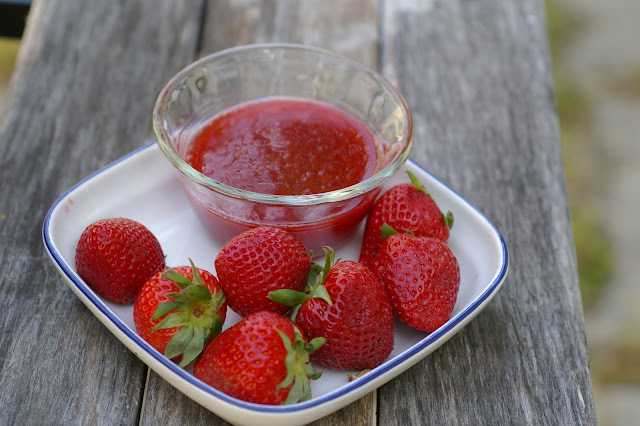 Did Ya ll know it is National Strawberry Month? Who would have thought that they have a whole month dedicated to this versatile ruby fruit. They are packed full of vitamins and minerals. Not to shabby for this delectable berry! Generally they are the first to ripen. Here in Virginia we have a whole festival to honor them. Why not preserve their goodness for as long as possible? I suggest canning them? Its not hard, if I can do it, anyone can. 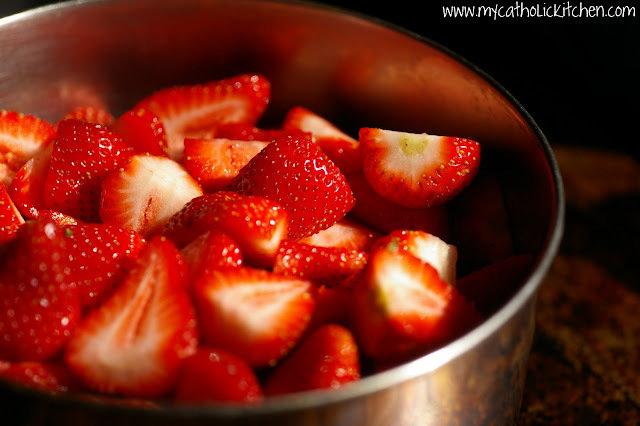 In a wide bowl, cut the strawberries into slices, until you have 4 cups of berry. 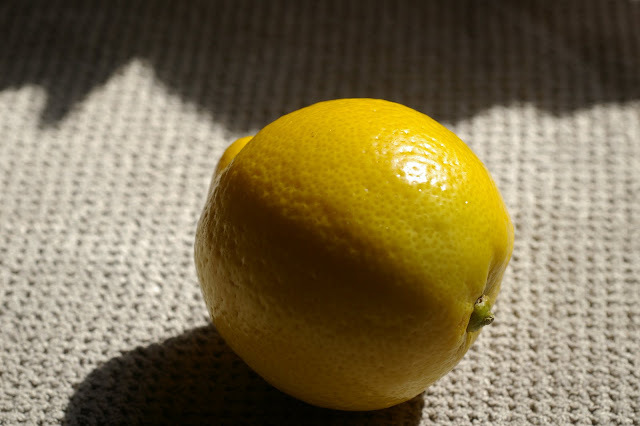 and lemon juice. Stir over low heat until the sugar is dissolved. Increase heat to high, and bring the mixture to a full rolling boil. Skim off the foam as you go. 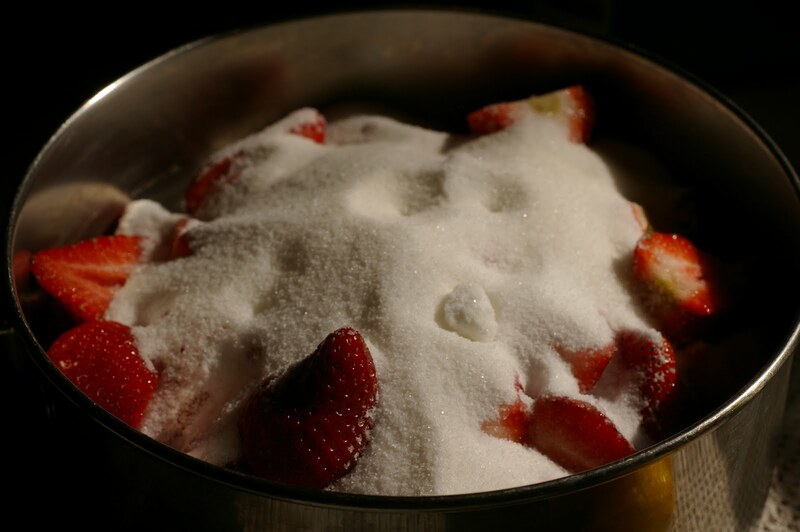 Boil, stirring often, until the mixture reaches 220 degrees F (105 degrees C). 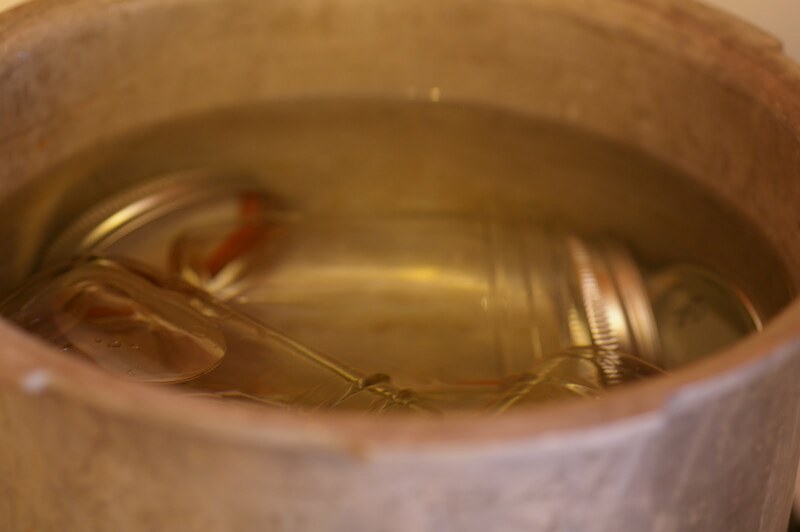 Transfer to hot sterile jars. Make sure you leave 1/4 to 1/2 inch head space, and seal. 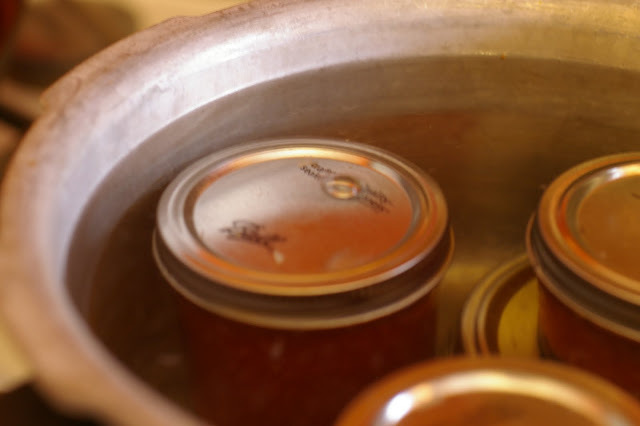 Make sure you wipe the top of the jar with a wet towel to insure a secure seal. 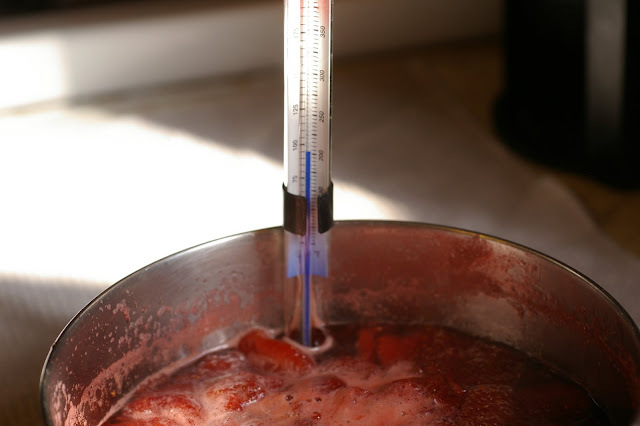 If the jam is going to be eaten right away, don’t bother with processing, and just refrigerate. This is great with biscuits, bagels, toast and my favorite popovers! So excited about having you over tomorrow! Nothing to be nervous about. Everyone is going to LOVE your recipe! I had no idea jam had so few ingredients (don’t know WHAT I though was in it, lol!). I definitely want to try my hand at it now with the extra berries from the Chantilly. Your jam is perfect! I like to give my jam a water bath process also, I think it is more shelf stable. What a great blog you have, take care and have a great day. Hopping over from The Country Cook, this looks great! 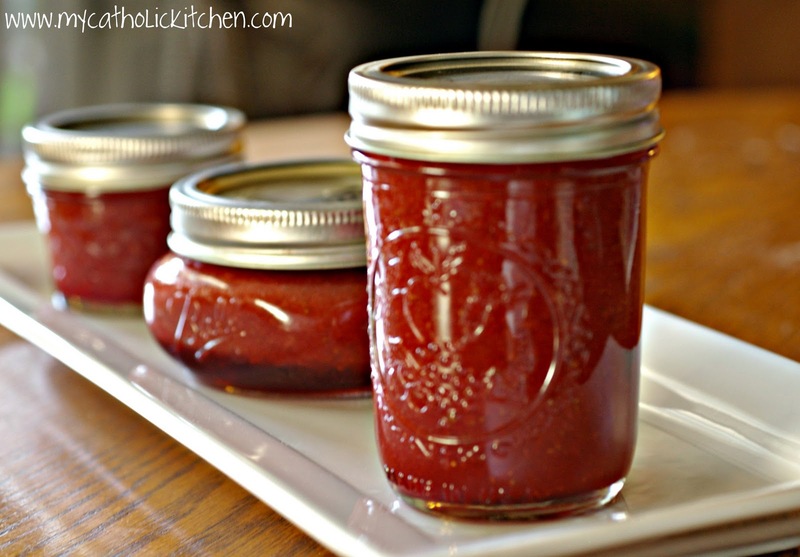 You make Jam look easy girl… I’ve long wanted to make some myself just a little nervous! I just might have to give this a try! That’s IT? That’s all you do? I’d never tried it because I thought it was hard. 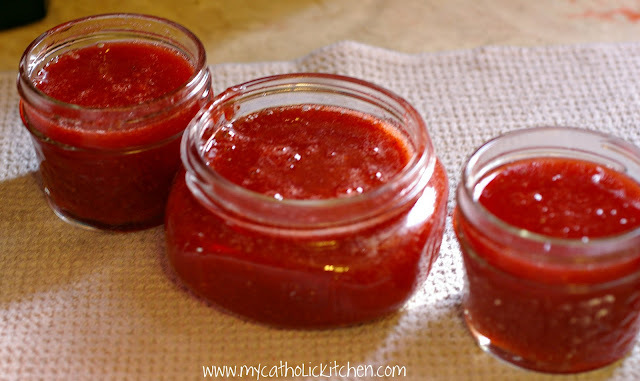 Okay, I’m going to get more jars and make strawberry jam! Congratulations! I’ll be sure to read your guest blog. You’ll be terrific, I know. 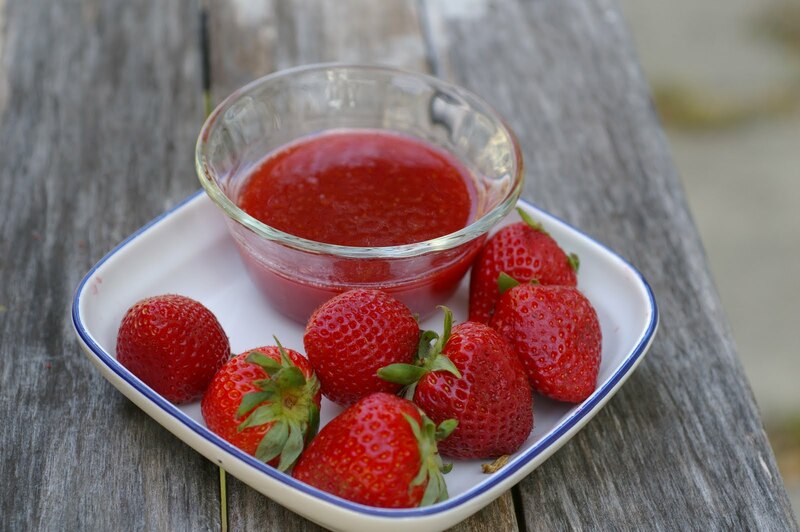 Lovely strawberry jam. 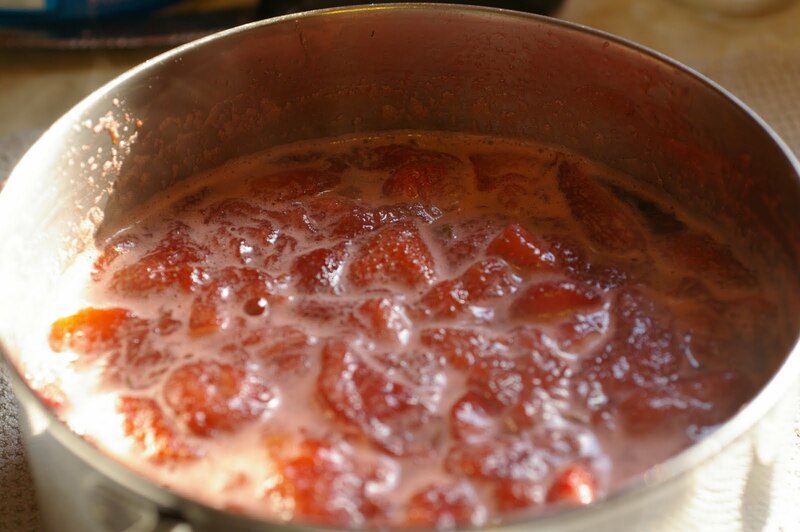 It reminds me of my grandmother who used to make strawberry and raspberry jams every year and would send home a box with us. This looks sooo yummy! Thank you for sharing! I’ve been trying different berries to see how the no-pectin added methods work, as well as love having the idea of fresh jam on hand. It goes so fast in my household, that I don’t even need to process! Can’t wait to try the strawberry one! (right after my blue-berry jam (http://www.notjustachick.blogspot.com/2012/02/no-pectin-added-blueberry-jam-dreams-of.html ) is used up!